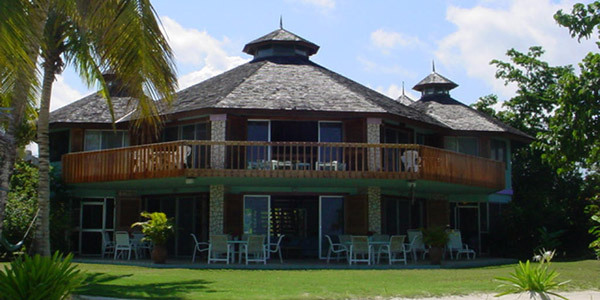 The Aqua Negril, an elegant home on the world famous 7-mile Beach in Negril, Jamaica. A husband and wife team that operates a Boutique Hotel serving breakfast only. 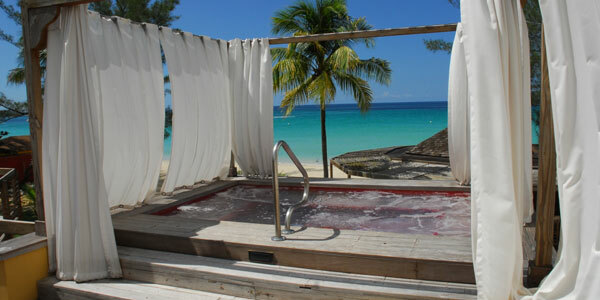 They saw the need to create a sanctuary for individuals wanting a more private upscale getaway on the beach in Negril. You will find the ambience to be warm and inviting as befits a home away from home. They cater only to adults 18-years and over. As a small Boutique Hotel their emphasis and focus is on providing an experience that at all times intertwines elegance, comfort and luxury. A staff of seven - 3 housekeepers, 2 bartenders, 1 gardener and 2 full time security guards - who together with operators Liz and Ken cater to your needs. They also employ a Security Company 24 hours daily to ensure your safety. Breakfast is prepared and served lovingly on fine china. There is always a daily special. This depends on what is in season and on the creative whim of the owners... it may be Jamaican one day, Mexican tomorrow. They have freshly squeezed orange juice, homemade granola, and homemade yoghurt. Serving eggs any style-the specialty being a souffle omelette-one day with lobster, perhaps, the next, with feta and fresh herbs. The locally smoked baked ham, bacon or breakfast jerk sausage is wonderful. Try the smoked marlin.